This is an editor extension plug-in. 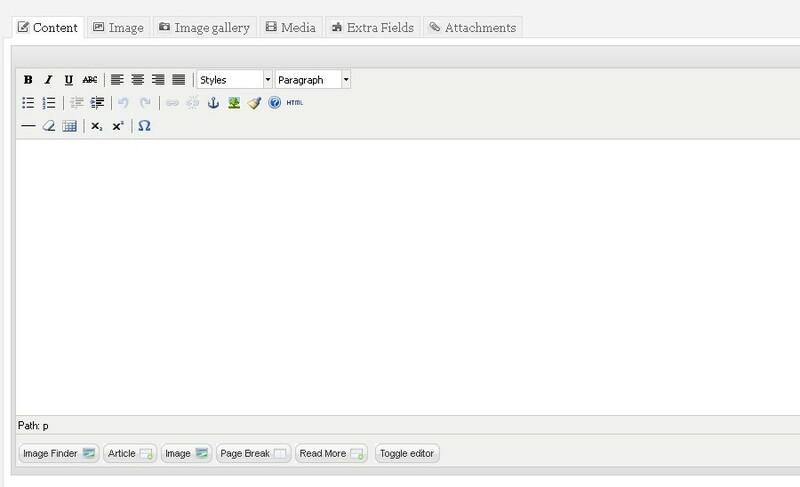 Images can be inserted in the editor by the extension. 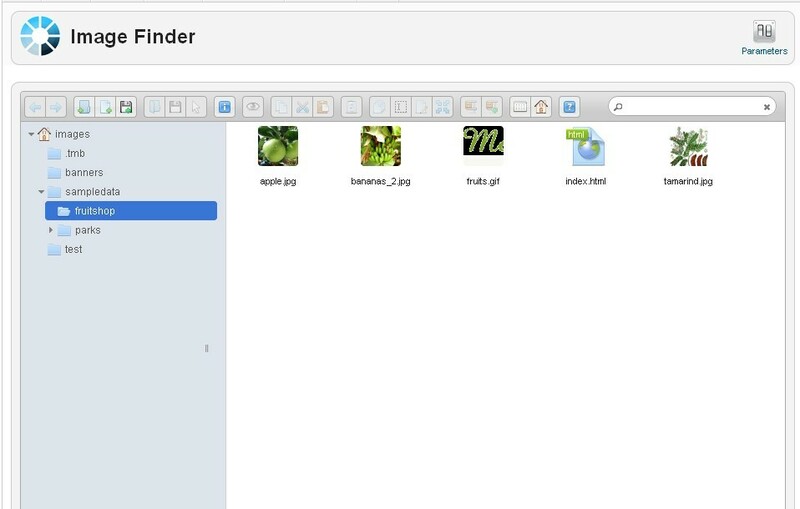 It uses elfinder ,a professional network file manager modeled on the Finder user interface of mac os X , as a selector of images. By using ImageFinder, you can insert images continuously by double-clicking and you do not need to close the pop-up windows, which greatly improves editing efficiency. It will automatically remember the file directory from which you select the images last time, saving your time to locate the files when opening again. Multi-language support,currently supports 16 languages. It can also upload image files by modeling on the Finder user interface of mac OS X, which provides a beautiful interface to improve the user experience. Customizable pop-up window height and width. Therefore, it can be used as a substitute of the official editor’s image insert plug-in. Come and have a try. 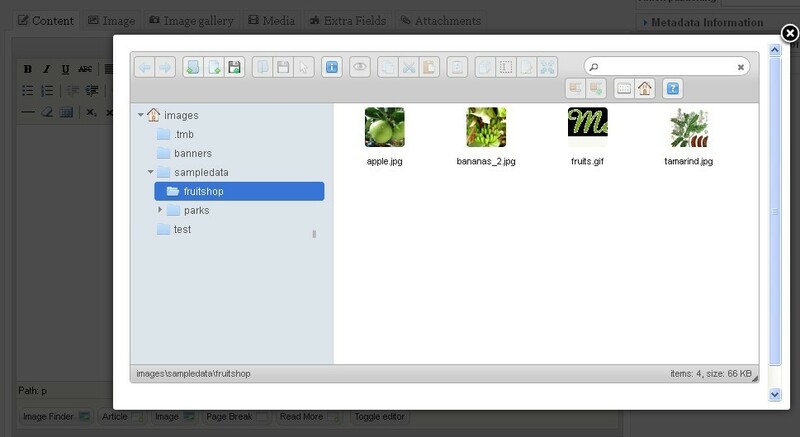 The plug-in is developed by HumThemes. We will provide you with more excellent extensions – so stay tuned. Resolve a plugin compatibility problem with the latest Joomla! version 3.1.5. 1. Upgrade jQuery UI to the latest sub-version of version 1.8, and resolve the Joomla!3.x compatibility issues. 2. Optimize css effect for Joomla!3.x. 1. 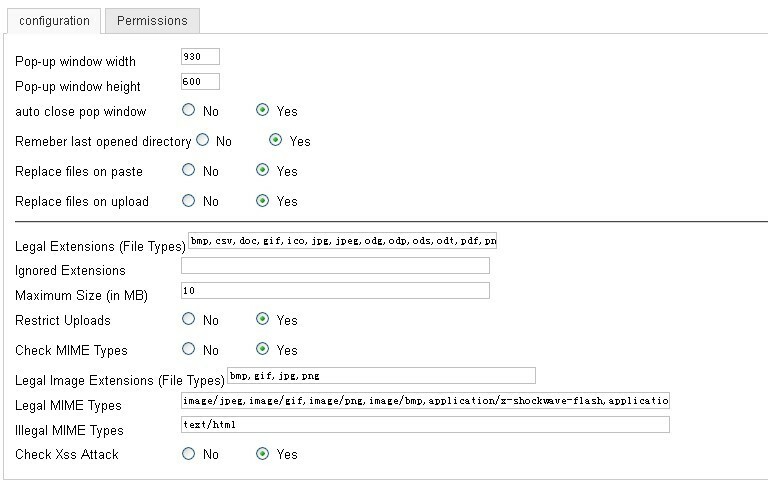 Add some configure params from Joomla Media Manager.Such as legal extensions(File Types) , ignored extensions , maximum size , restrict uploads , check mime types etc. 2. Fix bugs of 16 languages support. 4. Fix delete files sound Bug. Tip:When you finish the order , login the site and download the file from your order history.Your subscription time is 12 months , the period can free download the latest version for upgrade. Copyright © 2013 - 2014 Humthemes.com. All Rights Reserved. Humthemes.com is not affiliated with or endorsed by Open Source Matters or the Joomla! Project.